Forever 21. Didn't know they carried dapper suits for guys! Scarf print from top to bottom! I'd wear those coppery leggings if I had legs like that. 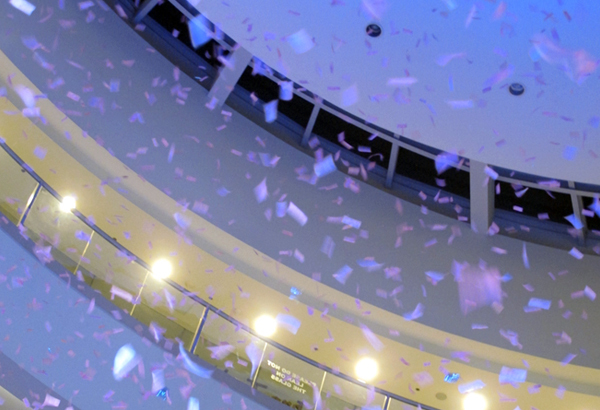 A shower of confetti ends the show! 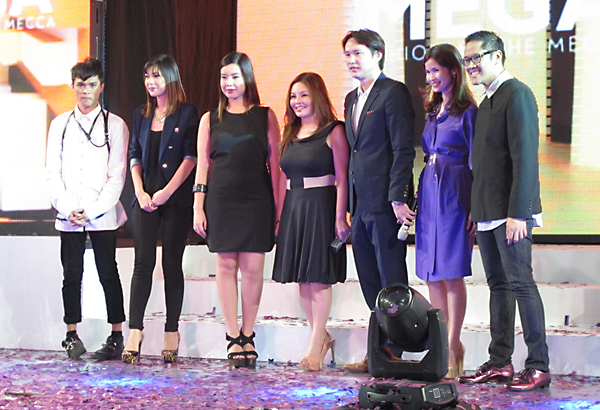 The Mega Magazine Editorial Team and the SM Megamall Head Honchos. 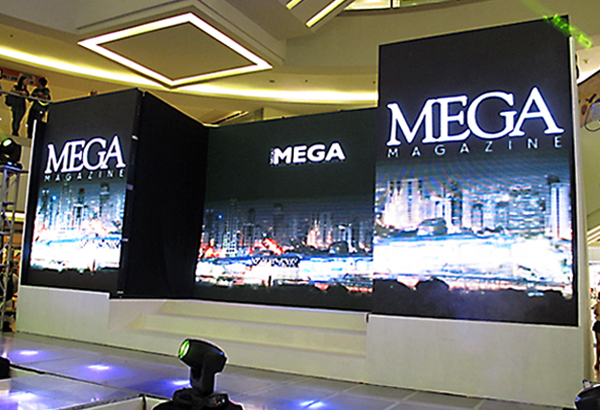 Last Tuesday, I headed to SM Megamall Atrium for the Mega2Mega event, a collaboration between two giants, Mega Magazine and SM Megamall. 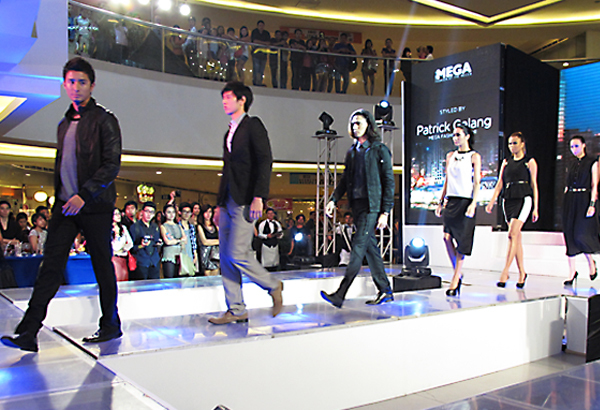 A fashion show was held, showcasing clothes from Forever 21, which were styled by Mega Beauty Editor Kim Palanca; clothes from Promod, styled by Mega Publisher and Deputy Editor Meryll Yan; clothes from Cotton On, styled by Mega Executive Creative Director Suki Salvador; and clothes from Mango and SM Department Store, styled by Mega Fashion Editor Patrick Galang. While I expected (Because Mega yan! You don't expect any less. Naks.) 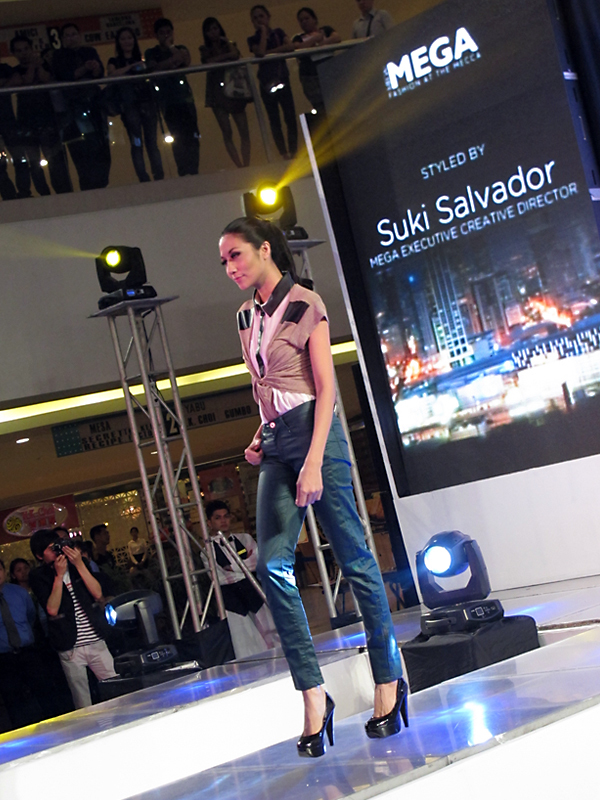 the young and chic looks from Forever 21, the colorblocked and preppy looks from Promod, the sporty-chic, varsitarian looks from Cotton On and the very ontrend Oxblood-themed looks from Mango, what I did not expect were the polished monochromatic outfits from SM Department Store! They’ve come such a long way from the rather plain or frumpy-looking clothes of years past. And this has gotten me excited, because SM is known for being affordable. Ka-ching! 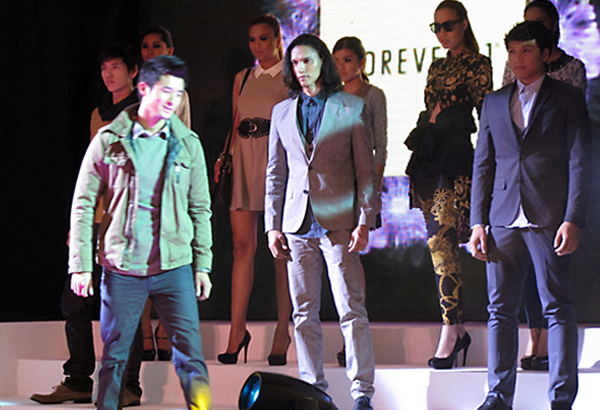 This collaboration is also to whet shopping appetites for the Mega Sale that’s happening on October 19-21. Mark your calendars, girls and boys. Discounts go up to 70% off, they say. My ears were ringing at this point and my mind’s already planning of how to fix my schedule so I can get to the sale early! 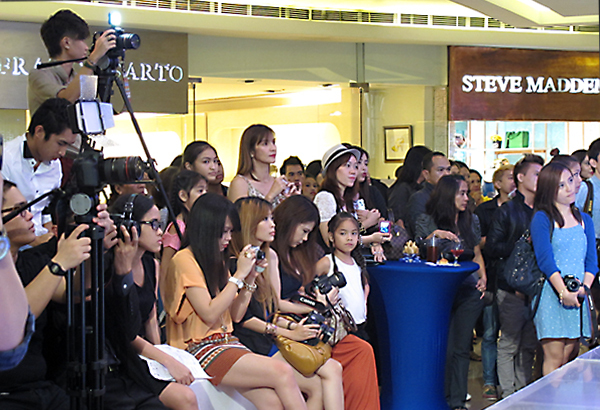 PS: A BIG thank you to Make-up Maven Sabs Hernandez! Find her very helpful beauty blog here. sayang, I could have met up with you during the event. Sadly, on top of being sick, I had finals. LOVE IT!! Super great feature!! TWO-THUMBS UP!! Thanks sis! Thank you! I'll let her know! Haha! Thanks Elle! I'll make sure to drop by! It was! :D Made me want to shop! Haha! Hi! Thank you for visiting my blog. Following you now! I hope you'll visit often.. Thank's! :) Kisses from VV!! Such a nice event! Great photos! Such a fashionable event! You're lucky to be in it!